It's been a little over 50 days since Novotel Chennai Sipcot opened its doors. A mid-scale brand that belongs to the Accor group, most Novotel hotels around the world are situated in business districts or near tourist havens. In Chennai, the hotel is located opposite the SIPCOT IT Park entrance, on the Old Mahabalipuram Road (OMR), home to several IT companies and gated residential communities. A short driveway leads to the entrance of the hotel and once in, one forgets the bustle of the world outside. It's a contemporary space with fuss free interiors and a sense of quiet luxury envelops the visitor as he or she steps in. A group of us bloggers were invited by Executive Chef Jaideep Kanungoe to the Chef's table for Bloggers at The Square, the all day restaurant. A lift whisks us up to the Upper Ground Floor where the restaurant is situated. The first thing that strikes me as I enter is the aroma of some good cooking. The F&B Manager takes some of us early birds on a tour of the bar and restaurant and adjoining it, the gym, pool and an alfresco dining area. It's a pleasant space and parts of the roof are open to the elements. 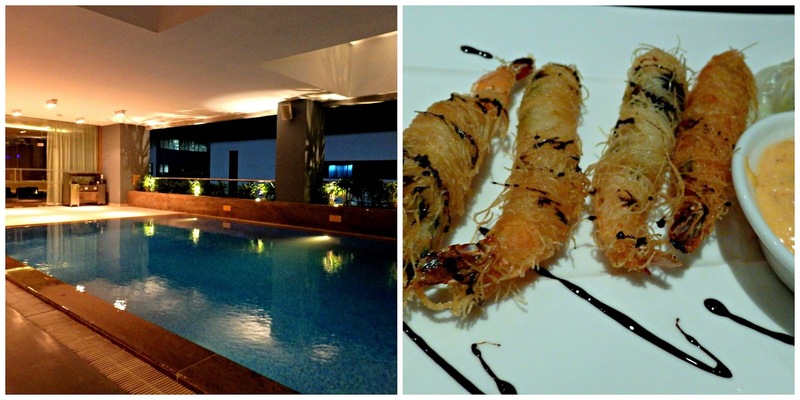 He tells us the hotel's focus is on Family, Food, Fitness and Fun. All four are definitely obvious. Back at the Square, the restaurant is slowly filling up with diners. It is a large room with enough space between the tables for people to navigate and reach the buffet counters without bumping into other people or furniture. All along one length is an open kitchen. At one end is a wood fired oven from which deliciously thin crust pizzas emerge. Beside it, the Continental, Pan Asian, Indian sections and then the grill and tandoor area. Take a turn to the left and there's the bread, salad and cold cut counters; in front, on an island is a table full of desserts. We are lead to our seats in the cosy private dining room and served a selection of dishes from each of the sections. The first dish itself had us floored. A stone oven baked focaccia sandwiched with pesto, caramelised onions, semi dried tomatoes and chevre, it was utterly delicious. And yes, you can thank me anytime for recommending it!! Delicious also were the prawns. 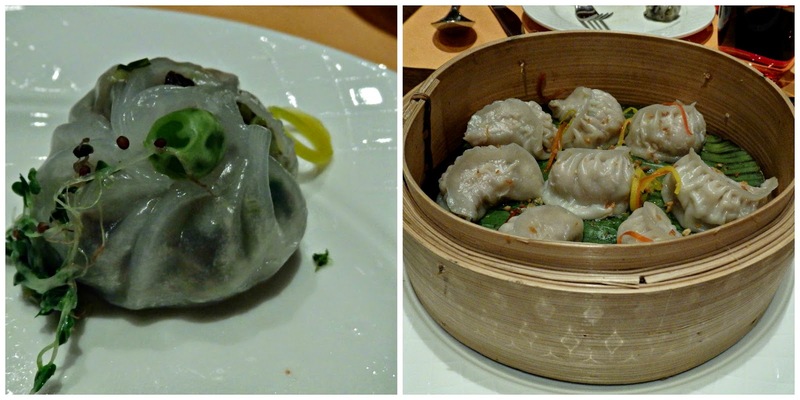 Again, I would recommend the katafi wrapped prawns with the hint of basil and the wonton wrapped prawn rolls which had a lovely citrusy burst from finely chopped kaffir lime leaves. The Genovese pizza topped with pesto, mozzarella, green beans and potato. Beautiful colours and flavours. Among the main courses was a dish of mushroom pasta and a luscious spaghetti with smoked chicken in a creamy pesto sauce. 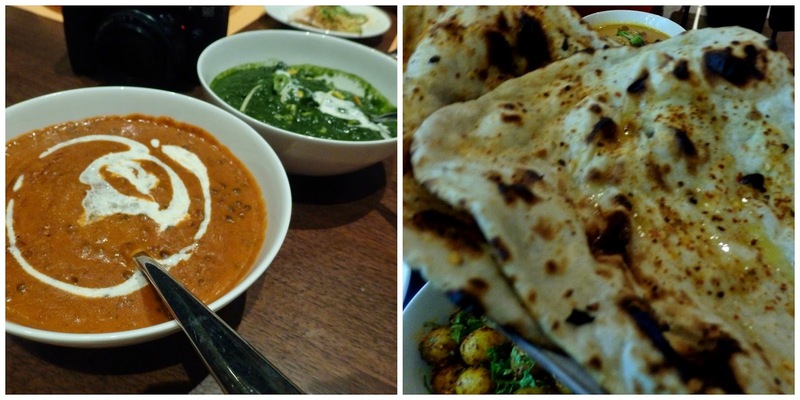 There was also lamb shank curry which went well with the Nargisi pulao and the selection of Indian breads. 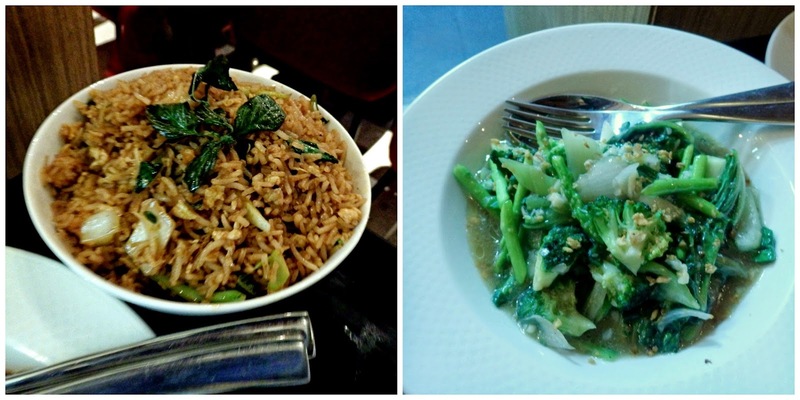 From the Asian kitchen, there was aromatic Thai fried rice, minced chicken with basil and bird's eye chillies, and a dish of stir fried broccoli, kailan, and asparagus. I love simple Asian flavours and this one hit the right spots. My only grouse was with the steamed fish as the slices were too thick and perhaps a more delicate fish would have conveyed the flavours better. 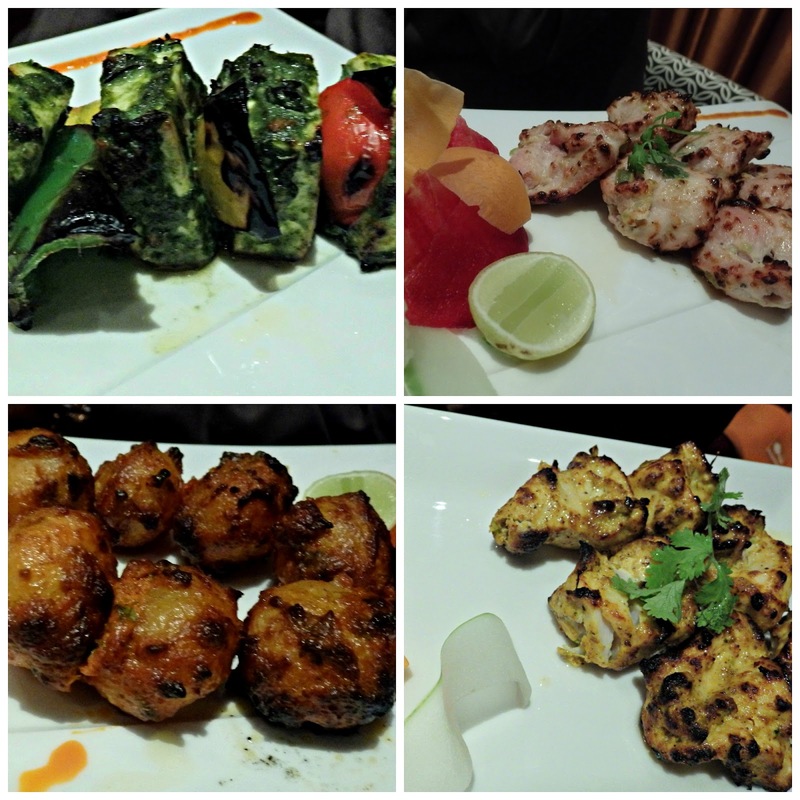 For the vegetarians, starters included tandoori aloo chatpate, delicious cheese stuffed mushrooms and chutney paneer from the Indian kitchen. 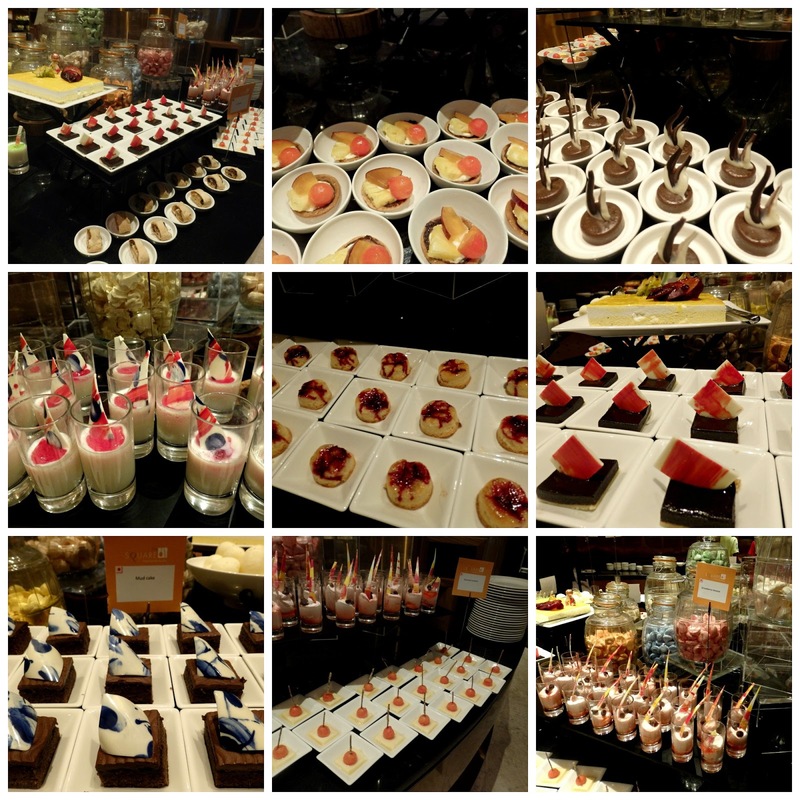 The dessert table was bountiful, jars of pastel coloured meringues were laid out and around them, a selection of prettily plated tiny portions of desserts that included apple strudel, fruit trifle, mud cake and mousse. My favourites were French white chocolate cake, espresso coffee tart and beetroot almond cake. 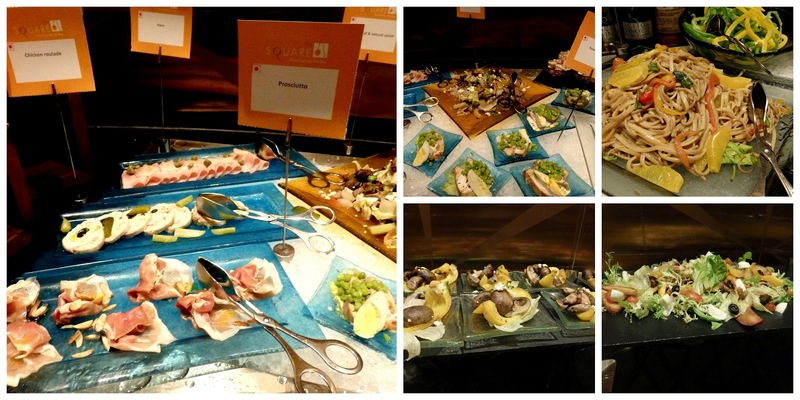 The buffet at Novotel is without a doubt, one of the best in Chennai. At 950/++ per head, it's bang for the buck. Those lucky ducks who live along the OMR - how I envy them! !